This page in a nutshell: Students should engage learning with enthusiasm, imagination, and focus. I learned much from my father. One of his chief lessons concerned the importance of enthusiasm. When you are enthusiastic about something, you show passion and engagement. Enthusiasm eschews disinterest and embraces possibility: it demonstrates a willingness to experience something different, or something familiar in a new way. Enthusiasm is active — a joie de vivre in attitude and action. While it took me a few years to see the wisdom in this approach to life, I find it particularly applicable to education. I always enjoyed the educator who was enthusiastic about her subject, and who was able to infect the students with that passion. My favorite professors were the ones who loved their subjects, who engaged the nuances and subtleties, and who inspired me to do the same. My father and my teachers showed me that the subject is not as important as how one approaches it: anything approached with relish is fruitful. It’s up to us to find the particular aspects of the subject where we can apply our enthusiasm. Begin any endeavor with enthusiasm, and you will find the task less tedious and perhaps even enjoyable. No subject is boring. It’s only a lack of engagement, imagination, and enthusiasm in us that obfuscates the possibilities. Just as I feel it’s my responsibility as an educator to show enthusiasm in my teaching and promote active learning, students bear an equal responsibility to engage learning just as enthusiastically. Desire to excel, not just to pass. Accept challenges with determination, even those that are riskier than others. Taking risks, even when we fail, allow us to learn even more than our successes. Trying new approaches makes us push the boundaries of our comfort zones and helps us grow beyond the roles that societal pressures try to cast us in. Do your work on-time and to the best of your ability, and you will pass my class. Try harder and demonstrate enthusiasm for what you’re doing, and you will excel. I encourage you to do more by showing enthusiasm, applying that to all assignments, and actually doing more than the minimum. Learning is progressive. Let your work build upon itself, applying what you learn from successes and failures. All assignments are necessary; I do not assign work for the sake of work. You must do your homework, synthesize it into your own ideas, and show the product of that synthesis. This truly is the foundation of life-long knowledge. In addition, do not be afraid to fail. In fact, you might just learn more from failure than you ever do from being right. Take a risk and do your best. The struggle is learning. Don’t know something? Well you’re lucky: we live in a golden age of information. The computer you carry in your pocket gives you access to more information than anyone at any time in the history of this planet has had. Use it. Support everything you submit for evaluation with specific evidence. This includes everything from tweets to research papers. Look, you take a college class to learn. I understand that we all come into the course with our own knowledge, but no one is an expert in the field — at least not yet. Therefore, if you state something, I might agree with you, but if you don’t support it with evidence, you’re not doing your homework. You must show me you know by citing others who know better. Students must know the material — not so they can spout pithy and memorable chunks of wisdom, but so they can support what they assert with evidence. Evidence comes in many forms. The best sources for a college class are (1) the assigned texts and (2) additional texts you uncover during your research. These might be cited according to MLA if you’re writing for print, or they could be simple links to online articles or YouTube videos if you’re writing online. Yes, some resources are better than others, but that’s what discussion is about. If I use a poor source as the foundation for my evidence, one of my colleagues will challenge it. This is how knowledge is born. This is called dialectic, and it really is what we strive for in the liberal arts education — something more akin to truth. I cannot stress how important this is. You must do your homework to have credibility. Just saying it without supporting it might work at a cocktail party or on Fox News, but it will never work in a college class — at least one that I teach. 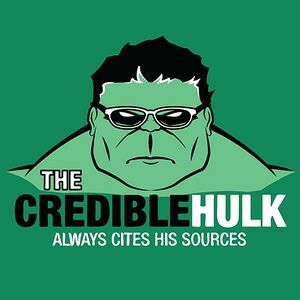 If your writing does not cite any sources or does not link to any sources other than “in my opinion” or “I believe,” you are not using specific evidence. These, then are the three golden rules for success in my class. I think you will find them useful in all of your college courses. Do all of the assigned work on time and to the best of your ability. Support everything you write with specific evidence. ↑ This post is a revision of a previously published blog entry on my web site on September 30, 2013. ↑ “‘I’m bored’ is a useless thing to say. I mean, you live in a great, big, vast world that you’ve seen none percent of. 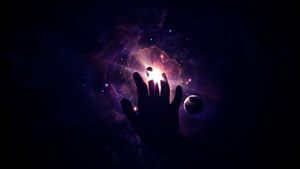 Even the inside of your own mind is endless; it goes on forever, inwardly, do you understand? The fact that you’re alive is amazing, so you don’t get to say ‘I’m bored.’” —Louis C.K. ↑ For more on active learning, see: Farman, Jason (October 3, 2013). "A Manifesto for Active Learning". The Chronicle of Higher Education. ProfHacker. Retrieved 2018-12-11. ↑ Try to think differently when approaching assignments. For strategies, see: Couros, George (2013). "4 (Digital) Habits That Will Make You More Creative". Connected Principles. Retrieved 2018-12-11. ↑ Allain, Rhett (August 5, 2015). "Learning Physics Is Tough. Get Used to It". Wired. Retrieved 2018-12-11. ↑ — (October 18, 2013). "Telling You the Answer Isn't the Answer". Wired. Retrieved 2018-12-11. ↑ If you are writing online, which most of my classes are now, you need to learn how to link and to use links to support your ideas. No links suggests no research. Have more than one. More support means more credibility. Make it a goal to link to at least two sources for everything you post.